The Mizpah and the nearby Belvada Building, both five stories high, shared the title of tallest building in Nevada until 1927. The hotel was named after the Mizpah Mine and was the social hub of Tonopah. 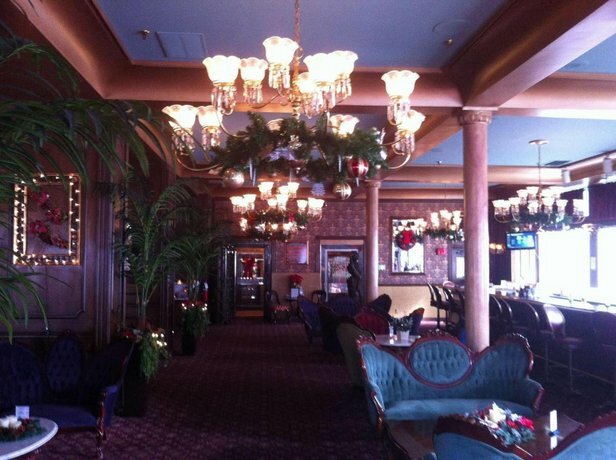 The hotel was pre-dated by the Mizpah Saloon, which opened in 1907, and was the first permanent structure in Tonopah. The reinforced concrete hotel was faced with stone on the front and brick on the sides and rear. The neighboring three-story Brougher-Govan Block, with rooms on the upper floors, served as the first Mizpah and remains connected. Cast iron columns were used in the windows and fire escapes. The three and five story buildings are joined with a wood stairway crowned with a skylight. Steam heat was provided, along with the first elevator in Tonopah. According to legend, Wyatt Earp kept the saloon, Jack Dempsey was a bouncer, and Howard Hughes married Jean Peters at the Mizpah. But Wyatt Earp left Tonopah before the Mizpah was built, Hughes was married in Tonopah, but not at the Mizpah, and Dempsey asserted he was never a bouncer. The hotel nevertheless features the Jack Dempsey Room and the Wyatt Earp Bar. The hotel had been shuttered since 1999, but in early 2011, the hotel was purchased by Fred and Nancy Cline of Cline Cellars, Sonoma, Calif., who renovated and reopened the building to the public in August 2011. [ The newly renovated hotel features 47 rooms, a bar, and two restaurants; The Pittman Cafe and the more upscale Jack Dempsey Room. There are plans to renovate further rooms in the hotel annex and to add a small casino to the property.